Finding Beauty in the Beast is an excellent re-telling that I can see myself reading again. It was a wonderful traveling companion, and I really enjoyed the overall story. It was well-written and has great characters. I loved the twist on Beauty and the Beast, and enjoyed that it was more than just a simple story. It was thought provoking-we have a choice in how we become after tragedies. We can become beasts, and drive everyone away. Or, we can make the best out of our situations and live a fulfilling life. "It doesn't do any good to compare tragedies or hardships, or even joys or triumphs. We are all a part of each other's stories. That's what marriage does. That's what friendship does. That's what death and birth do. We are all weaved together . 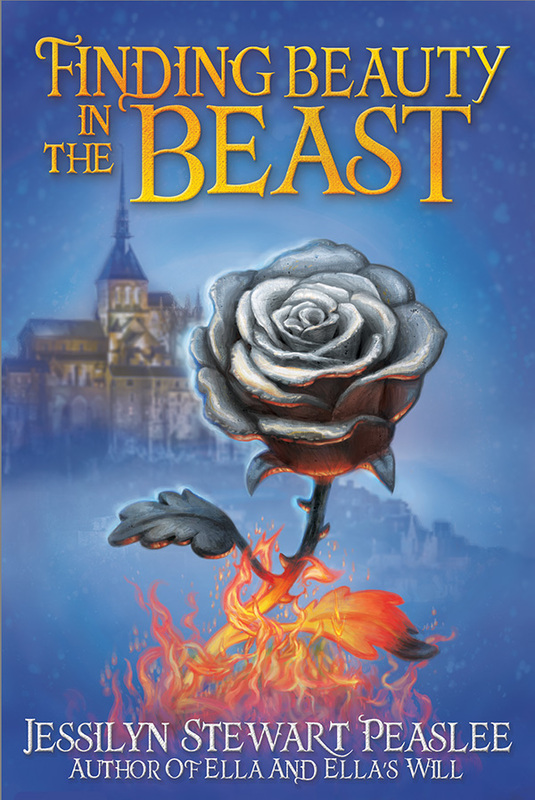 . ."
I really enjoyed how Finding Beauty in the Beast was connected to Peaslee's other books (Ella & Ella's Will). At the same time, this can be read as a stand alone novel and you shouldn't be lost. You just won't know the backstory of some of the supporting characters, and those stories are both very well done, so I'd read them all if you can. There were some surprises in this story, which I enjoyed, and some predictability, which wasn't so overt that I was put off by it. Finding Beauty in the Beast is a clean, fast read, with a good message. I look forward to reading more by this author. After Cinderella, Beauty and the Beast is one of the most over-done fairy tales, and yet, I find myself really enjoying the retellings. I'm a sucker for them. And this one! Oh, this one was fun. I love how Jessilyn switched characters and made the Beast the female lead. I guess you really couldn't (or shouldn't maybe) call Corbin Beauty, but the point is made. I also loved that Corbin gets a story. I felt so bad for him in Ella's Will. I love my happy endings, even for minor characters, and it just didn't sit right with me that his story, I thought, ended crappy. So happy day for me that he gets his own book! This was a little slower book. Corbin had to figure things out, and honestly, that seemed to take a little while. I kept hoping for him and Rose to figure things out a little sooner so we could see more from them together. While the bad guy wasn't a surprise, I love that he was there and his role in everything. I love that we get to see Ella and Will again. I even loved the baker. Finishing this book made me want to go back and reread both Ella and Ella's Will, so I think that says good things about all the books. I absolutely loved Ella and Ella's Will, so I jumped at the chance to read Jessilyn's new book. While this book didn't have the same heartache that Ella did, I still really enjoyed the story. The reader sees almost right away how honest and good Corbin is, and because of that goodness, he is punished (it seems) and has to marry Princess Rose. He flounders for quite awhile after the wedding, and has basically given up on life, but once he starts getting to know the princess, both of their lives take a turn for the better. While I will say that this story didn't completely captivate me as much as Ella did, I still highly recommend it, and really enjoyed the clever retelling of the Beauty and the Beast story. I'm happy to add this to my bookshelf and look forward to the next book by this author.